The Royal Tasmanian Botanical Gardens was established in 1818 on the shores of Hobart's River Derwent. It is a cool climate garden featuring an extensive collection of conifers with 60 of the 69 extant genera represented. Housed collections include the Conservatory and Subantarctic Plant House. Other themes comprise the Tasmanian, Chinese, Japanese, New Zealand and Gondwana Collections. Special Collections:The Royal Tasmanian Botanical Gardens was established in 1818 and today is a fusion of early heritage and ornamental plantings together with a more recent focus on Tasmanian plant species and conservation collections. The heritage collection of mature trees acts as a backbone to more recent plantings. Ornamental collections include the Conservatory, Lily Pond, Friends Mixed Border and Japanese Garden. A strong focus on Tasmanian native species since the late 20th century has seen the development of the Tasmanian Collection, Greater Hobart Flora and Tasmanian Fern House. The Subantarctic Plant House displays plants from Macquarie and Heard Islands. The seedbank collection constitutes the major conservation and research focus of the Gardens. Established in August 2005 the Tasmanian Seed Conservation Centre has short term aims to hold seed samples for all Tasmania’s Rare and Threatened seed bearing flora and a longer term goal of full coverage of the Tasmanian flora. The seedbank is part of the global Millennium Seedbank Partnership and the Australian Seedbank Partnership. Germination data generated by the program is publicly available from the RTBG website at www.rtbg.tas.gov.au/tasgerm. 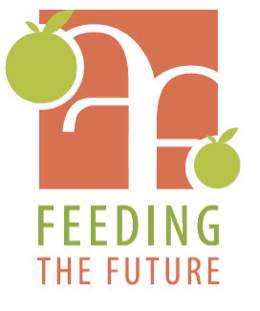 Feeding the Future aimed to address social issues faced by low income families who often are not able to access low cost nutritious food and have poor knowledge on the subject. Environmental concerns relating to food security and securing the health of native plants and biodiversity are also addressed by the initiative. The project was brought together by the Royal Tasmanian Botanic Gardens and was mainly funded by the the Tasmanina State Government through their food initiative. Feeding the future had a very wide range of supporting members including local and educational gardens; emergency relief organisations, NGO’s and private businesses. Support to these organisations has been in the form of funding and bursaries and professional advice. Increase the amount of nutritious and low cost food and meals available in community networks and for people at risk. Increase the communities’ knowledge of food, food production and food security. Increase the size of the community food garden network and to increase the skills of volunteers in this area. The project provides education bursaries to allow volunteers to attend leadership and horticultural skill development, schemes provided by the Royal Tasmanian Botanic Gardens. Grants are also provided to members to assist with development and activities within their organisation, activities such as meal programmes, garden extensions and greenhouse repairs. The project also supports their partners by enhancing their events and activities, for example they provide workshops and a mobile kitchen for demonstrations. Support for general activities was also provided, e.g. the Seedling Initiative provides cheaper seedlings to member gardens, as well as offering professional advice and participation in the network. 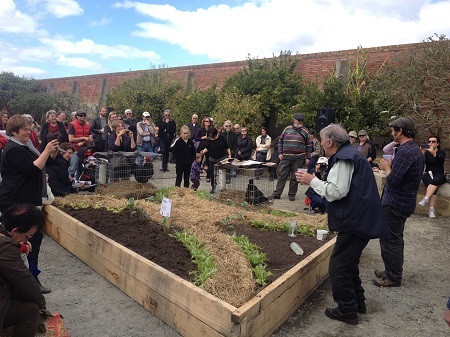 The project also has encouraged a strong community presence at Royal Tasmanian Botanic Gardens' Spring and Harvest festivals, providing activities to engage the public with food and food security. 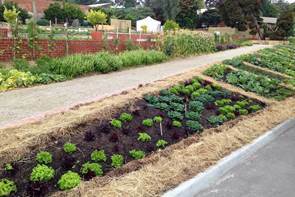 Additionally, the project visits food gardens and attends community events state wide. A presence on Facebook and an active website has been essential for reaching members and new supporters. The project has had an impact on a large number of people; while it is difficult to quantify the reach of through the project’s 40+members, across the Facebook Page; through links to the Royal Tasmanian Botanic Gardens social media; onsite at Festivals and workshops in the Royal Tasmanian Botanic Gardens; through presence at community events and through word of mouth. As a guild it has touched the lives of thousands of people over the last five years and for some made a profound difference to the quality of their lives. It is helping to: publicise the value of growing your own food; provide avenues of support for doing this; promote the availability of community gardens; provide access to training in both food production and preparation; and support the development of a food security network in Tasmania. The work of the project has seen a definitive decrease in food security issues and increase in community involvement for the cause. The hope is that the guild will continue to flourish and grow after the funding has ended. Plans for the future include looking for ways for the guild to generate revenue through workshops and other strategies, to seek partnerships with industries that can help support guild activities and look for alternative funding sources, if necessary. 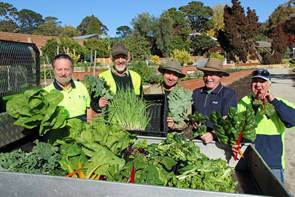 The Tasmanian Community Food Garden project run by Australia’s second oldest botanic gardens, the Royal Tasmanian Botanic Garden, aims to build community capacity and raise awareness on issues like food security. Local communities are provided with their own plot of land, in which food is sustainably produced, harvested, and even shared back with other communities in need. The project also serves as a centre for networking, sharing of experience and mentoring as well as providing outreach program onsite and using a purpose-built outreach trailer. The project will form the a face-to-face element for online training to assist communities across Tasmania to grow their own food. 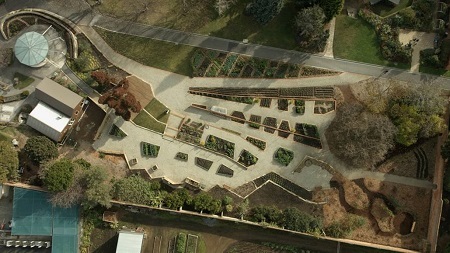 The Tasmanian Community Food Garden (TCFG) project makes use of communal gardening to promote the practice of sustainable food production and preparation. 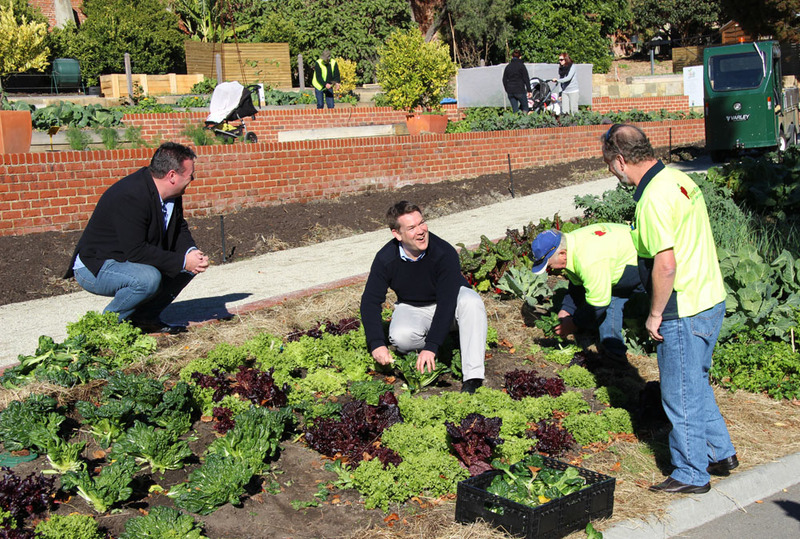 The project provides groups, including charities, schools and even national television, with their own plot of land within the Community Food Garden. On this they grow fruit, vegetables, herbs and other plants. The groups are charged an annual membership fee for which they are able to design, develop and maintain their plot with support, mentorship and management assistance from the Royal Tasmanian Botanic Garden’s horticulturalists, food specialists and other expert staff. Through the creation of these plots, the project mainly aims to build community capacity. Participating groups are encouraged to share their experiences using interactive technologies, such webcams and personalised QR coded signage. These provide learning opportunities for national and international visitors. The groups can also attend twice-weekly horticultural and food workshops and are invited to special learning and skills development seminars throughout the year. These events provide an opportunity for the groups to further network and interact with each other. The TCFG project also tries to engage participating groups with issues such as food security and community and individual health and well-being. Communities can, and often do, lack reliable and regular access to healthy, clean, cost-effective natural foods as well as simple, sustainable and cost-effective ways to grow, process and use produce. The project therefore also aims to build awareness of reliable and sustainable production, and good harvesting and distribution techniques. What’s more, produce harvested from plots is shared with local charities and disadvantaged communities. To contribute to the education of participants in the TCFG and indirectly to others in the Tasmanian community. Horticulturalist and broadcaster, Peter Cundall, engages visitors. The success of the project is currently being evaluated. However, initial feedback from those involved has been positive. Currently, the project provides more than 4 tons of produce per year back to communities in needs and this number is only set to grow. The project will continue as a community-managed environment, after the project’s officially-funded completion date in early 2015. The Royal Tasmanian Botanic Garden has a long-term commitment to work closely with the TCFG committee and its representative community organisations.